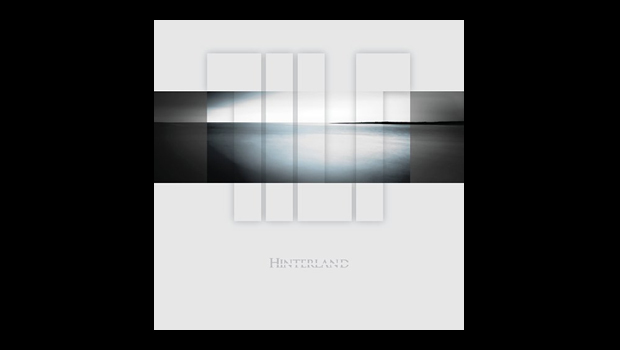 TILT have released their classy debut full length album, Hinterland, featuring an impressive array of melodic rock songs, sampled sonic atmospherics and catchy hooks. Nine years after the EP Million Dollar Wound, an interesting but tentative studio project, they have developed into a band of maturity capable of subtle artistry alongside hard driving rock. This is shown in the title track, an impressive rocker verging on prog-metal, but thankfully does not tilt (excuse the pun) into the more indulgent tropes of that genre! Hinterland really rocks with crunching riffs, but does not lose sight of its core tune, even after it really takes off. Turn this one up LOUD! Paul Dourley was one of the contributing vocalists to Million Dollar Wound, but wisely he is now the sole vocalist for Hinterland as he has a very strong voice capable of impelling muscular rock songs, but intuitive enough to convey the heart of more emotional songs. TILT show us their much more subtle side with the soulful Against the Rain, opening with a gentle piano/keyboard intro followed by acoustic guitars underpinning agile and emotive vocals. Particularly beguiling fluid guitars back the touching refrain in the coda line “I Fight Against the Rain”. No Superman is the one surviving song from Million Dollar Wound, which may have persuaded TILT to recruit Dourley for all vocalist duties on this fine release. It is simply and powerfully one of the best songs on the whole album, a real behemoth with killer riffs, hooky melodies and outstanding vocals. Amidst the power Irvin Duguid inserts some finely judged keyboards in contrast. No Superman maybe, but certainly a Super song. A Rock Family Tree for this band would show fundamental origins within Fish’s band, contributions from members of It Bites and Frost*, and a former member of Camel in drummer Dave Stewart. However, in a recent Progtopia podcast it was revealed that such a family tree would also include, more obscurely, the ‘Buzz Ultimate Music Quiz’ on Playstation, where Stewart met the remarkable guitarist Paul Humphreys in studio session work! Whatever the connection, Humphreys brings flowing guitar skills and an ear for a melody, amply demonstrated on his impressive song Growing Colder. A simple piano opens under plaintive vocals as the song builds to a multi-layered chorus. The piano motif returns with icy synths and effects over stark and vulnerable vocals, “How can this mime last? It can’t last, it can’t last”, before returning to the full band refrain of “I’m Growing Colder. It Bites and Fish keyboardist John Beck provides a poignant orchestral string coda with elegiac trumpet sounds to add a suitable icing to this classy rock song, skilfully intertwining melancholia with a defiant soaring quality. Strontium Burning is a rolling, hook filled rock song showcasing the versatility of Dourley’s vocals. This ‘epic’ (in atmosphere, not length) and powerful song typifies the high quality production and fantastic sound obtained by Steve Vantsis, the main songwriter and bass player (as well as a whole host of other instruments!). It Bites and Frost* man John Mitchell adds his mixing skills to finesse it to another level. Make no mistake – sonically this is a sumptuous album. Nowhere is this better shown than on album highlight Bloodline which opens with atmospheric keyboards before erupting into a full band blast driven along by Steve Vantsis’ throbbing bass line. This is a very well crafted song which pulls the listener along through it’s drive and imagination, all topped off with a fine guitar solo from John Mitchell. This deserves to be regarded as one of the songs of the year. _Assembly and _Disassembly bookend the album with interesting lengthy and desolate soundscapes, largely formed by loops and synths, that help to establish the general themes of social and emotional isolation, touching on loss and grief – although this is NOT a morose ‘concept’ album! These songs stand alone but have more impact when assembled into a cohesive album. Some have wondered if this album is ‘Prog’ or ‘progressive’? Who cares?! 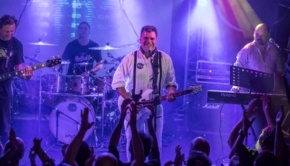 Stewart himself stated in Progtopia that his background with Camel in the ’90s was solid ‘hooky’ songs with melody, and Humphreys described their music as ‘arena rock’… whatever that means! Clearly there are significant ‘prog’ influences in their backgrounds, but this is very much a rock album, albeit presented with flourishes and some intricacy, that focuses on memorable songs conveyed with skill and emotion. Whatever label one attaches, this album has been on constant rotation for this reviewer. Multi-instrumentalist Vantsis appears to be the main driving and creative force behind this impressive new band. It is no coincidence that he co-wrote two of the best albums of Fish’s career, 13th Star and Feast of Consequences. Vantsis takes the skills he utilised and developed on those two fine albums and applies them with vigour and imagination to Hinterland. Whilst Fish is indicating that he is approaching the end of his career, it may well be that Vantsis and his bandmates are showing with this high quality album that they have much more to offer in future projects. The dictionary definition of ‘hinterland’ above points to ‘an area lying beyond what is visible or known.’ In contrast, if this album is an indication of the quality of future releases there’s a good chance that beyond the horizon this band will enter some very promising territory indeed.